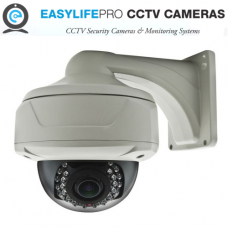 Our CCTV Wireless Professional Cameras are strong, Robust & Vandal Proof. 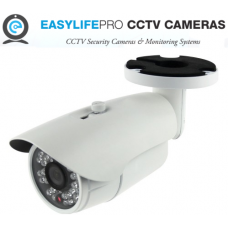 They also offer a strong visual deterrent and well as outstanding performance. They offer an Ethernet connection should you choose to cable your cameras to your router. Otherwise each one has built in WiFi. 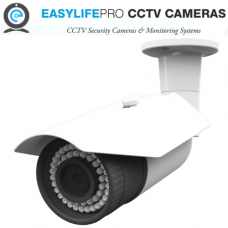 Make no mistake Easylife Pro cameras are designed to last. 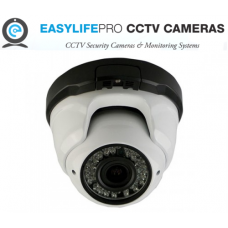 They offer an incredible sturdy..
A small, dome style CCTV camera suitable for indoor and outdoor use High quality image processi..
A larger, bullet style CCTV camera suitable for outdoor useHigh quality image processing and H.265 v..
A large, heavy duty, dome style CCTV camera suitable for outdoor useHigh quality image processing an..